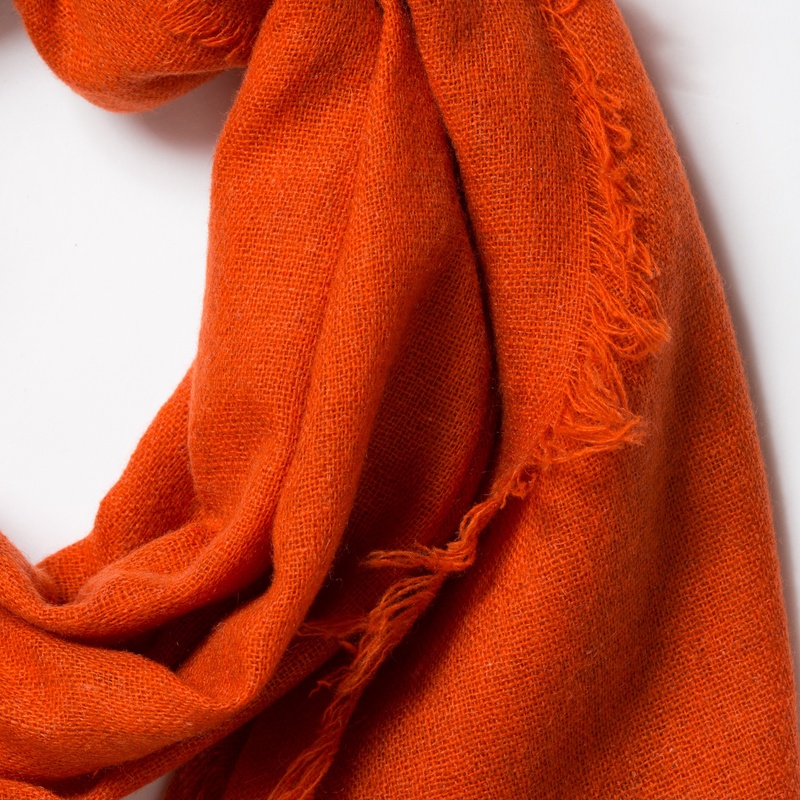 This orange cashmere scarf is a woven as opposed to a knit which makes it great for transitional usage as it is not too bulky, is lightweight and easy to wear. 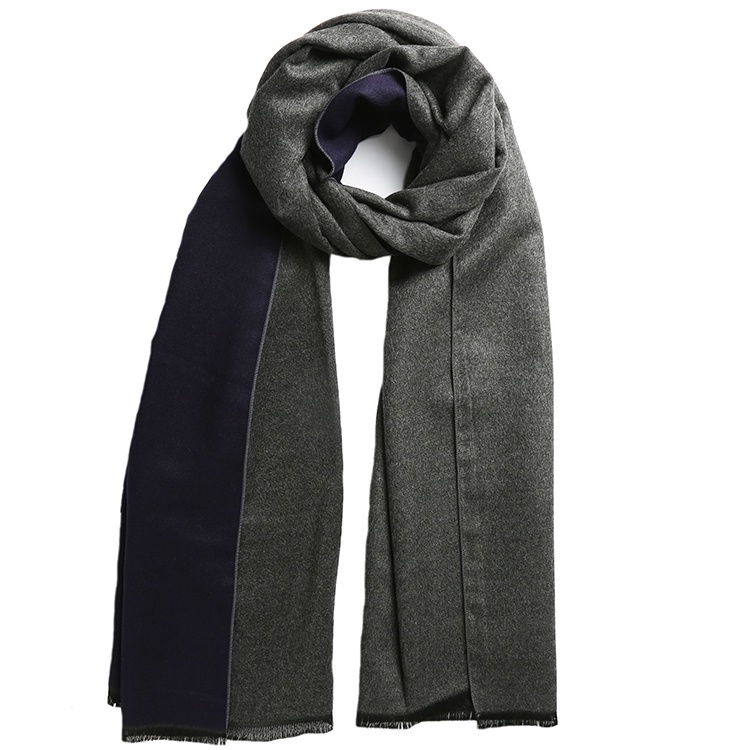 The colour is great mixed with khakis, denims, taupes and whites and is very on trend for the current season. 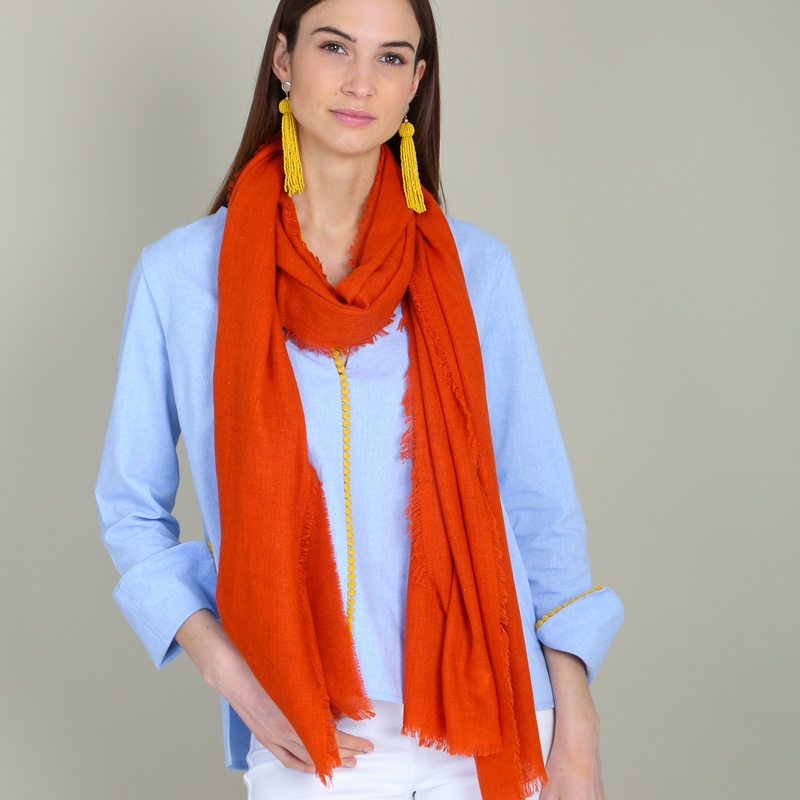 The orange cashmere scarf is very long but not that wide which gives you lots of options as to how you want to wear it. 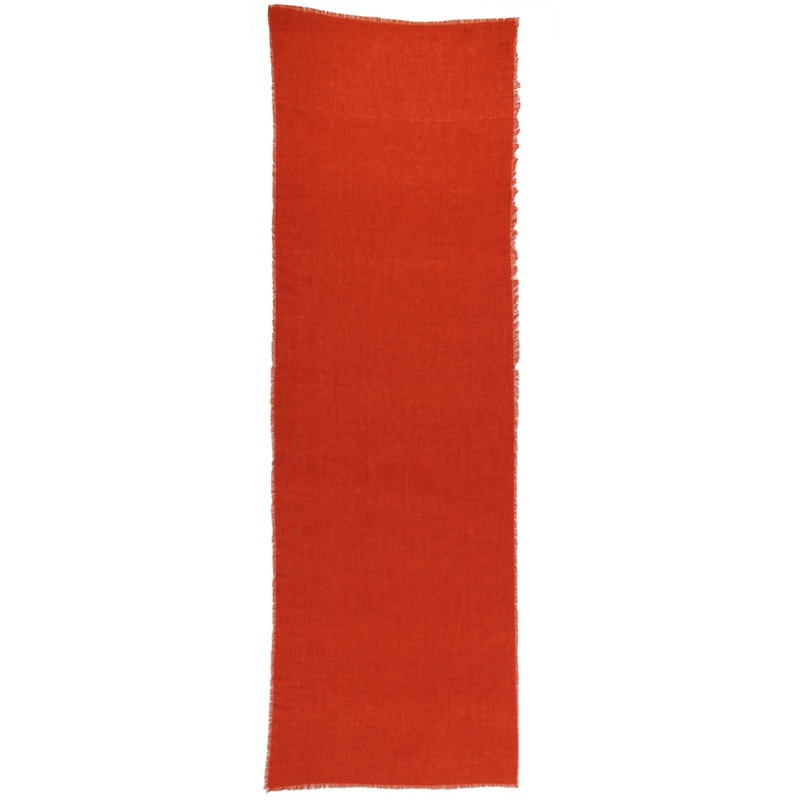 It is purposefully unfinished at the edges to give it a more bohemian feel. 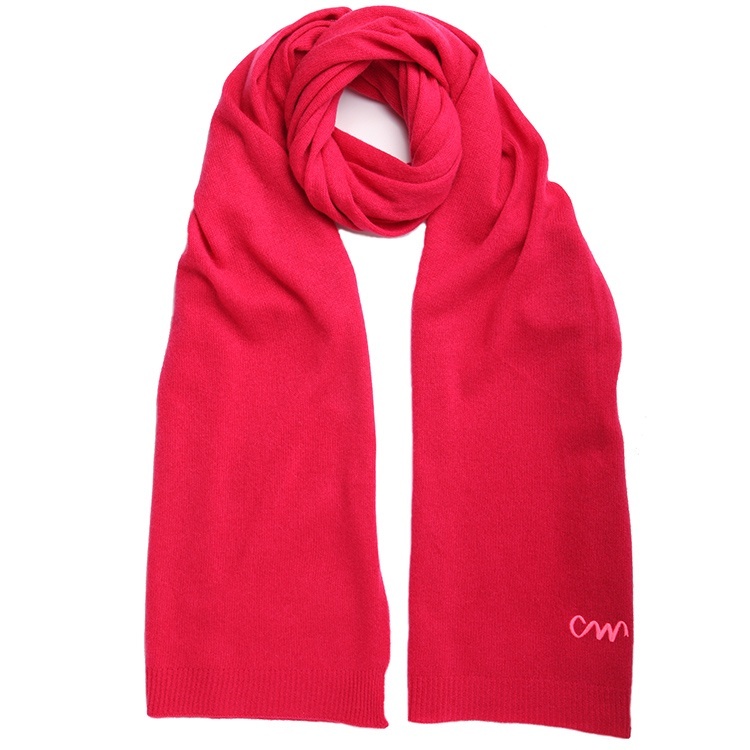 This scarf is also available in ochre and teal. 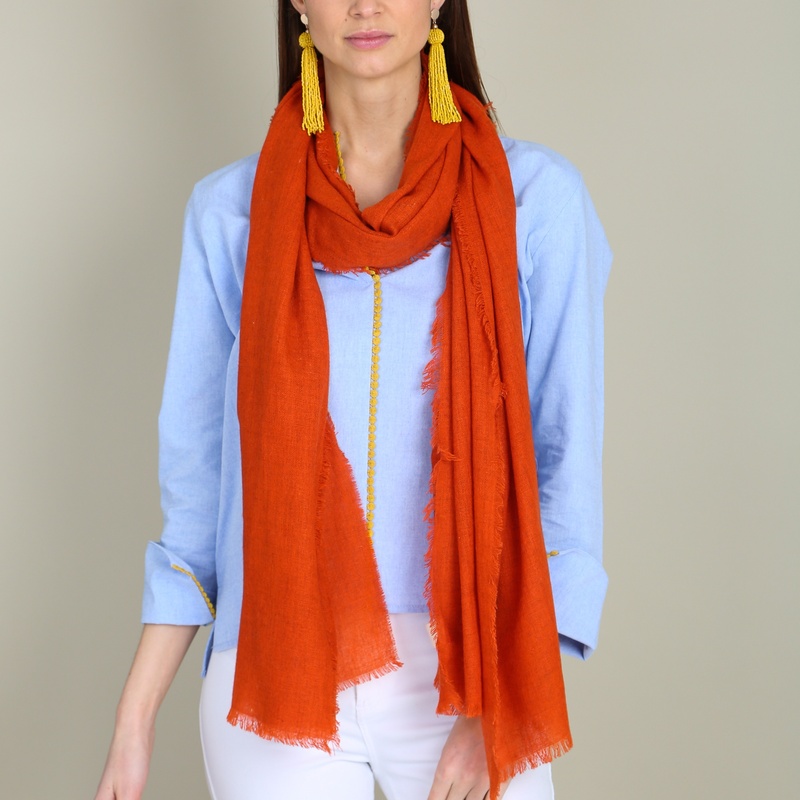 This orange cashmere scarf is a woven as opposed to a knit which makes it great for transitional usage as it is not too bulky, is lightweight and easy to wear. 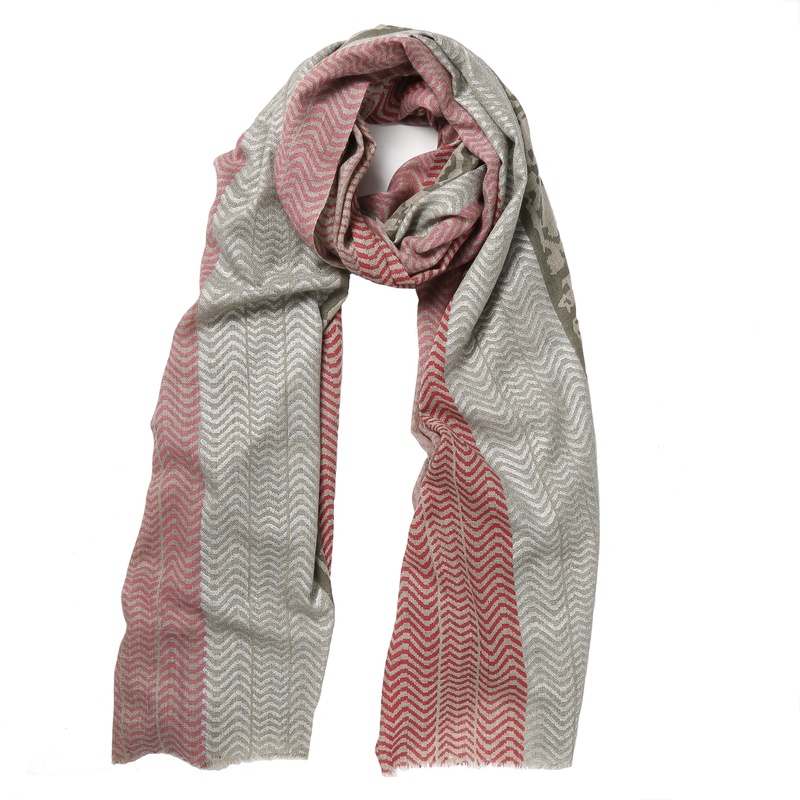 The colour is great mixed with khakis, denims, taupes and whites and is very on trend for the current season. 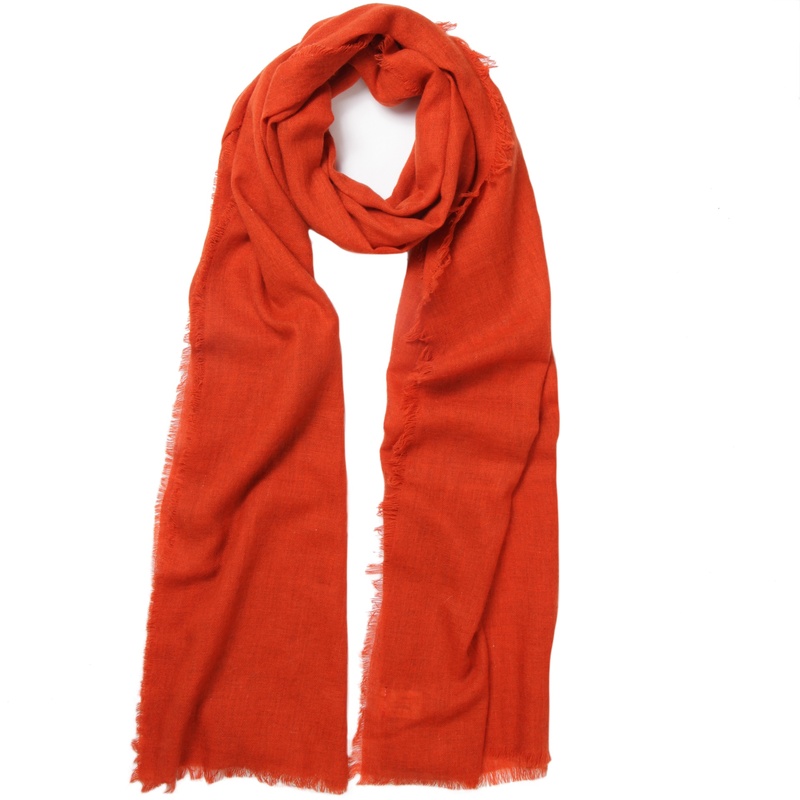 The orange cashmere scarf is very long but not that wide which gives you lots of options as to how you want to wear it. It is purposefully unfinished at the edges to give it a more bohemian feel. 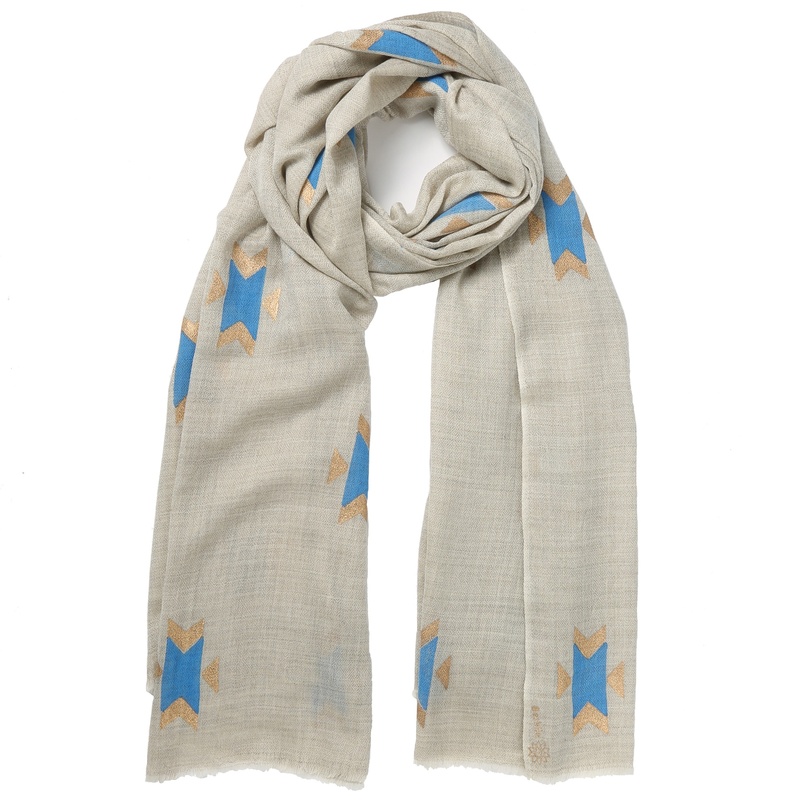 This scarf is also available in teal and ochre.